Pompano Beach Real Estate is starting to boom as a long anticpated renovation of the beach area is starting to unfold. Aqua Loft Townhomes are just west of the intracoastal, a short distance from the beach and a great spot to keep up to a 40 foot boat. Read more about Aqua Lofts. Aqua Loft Townhomes are magnificently designed and are in a class all their own. Featuring an entire home control system the homes were built with no expense spared. 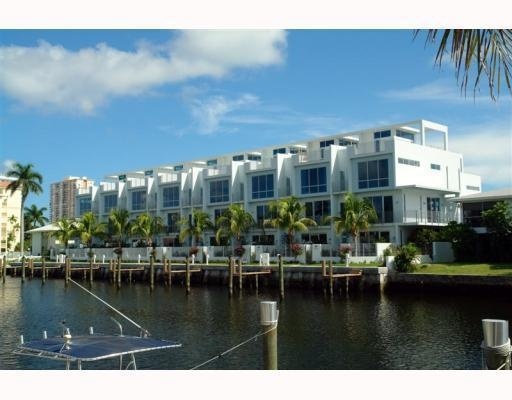 Located on the water in Pompano Beach the property is close to restaurants, shopping and the beach. Aqua Lofts include boat slips, the CRESTRON Smart home system, top floor roof decks with private pools, private gardens, and elevators. Eric Miller and Associates, are always available to help you buy or sell real estate in the area and are happy to show the homes of Aqua Lofts whenever units are available. You can contact us directly at (954) 383-8170.